For anyone who ever thought they were too old for an adventure, meet Dale Sanders. 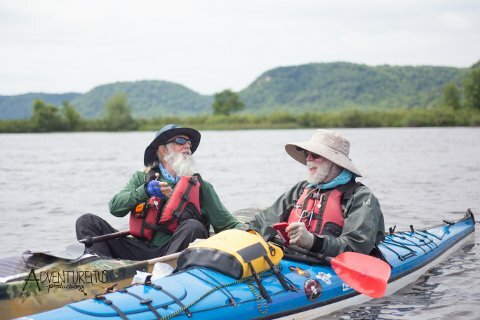 In May, the self-proclaimed “Grey Beard Adventurer” set off from the source of the mighty Mississippi at Lake Itasca in Minnesota. And he finished the journey in the Delta Bayou on August 15. The 80-year-old faced rain showers for a month, heavy winds and water-soaked gear. If it weren’t for the support and inspiration from the many “rive angels” and well-wishers along the way, Sanders says he would not have been able to do it. “WE DID IT,” he exclaimed in big bold letters on his blog, which documented the trip. At the end of the journey, Sanders celebrated with friends and a bottle of champagne. Sanders completed the source-to-sea journey to help raise money for childhood diabetes, with which his great niece suffers. His chariot along the journey was a Wenonah Canoe. Meet Dale Sanders from Adventureitus Productions on Vimeo.